Ok, so I had one of those babies who cried. A lot. It was incredibly stressful as a new mother trying to work out what my baby was trying to communicate to me and how I could help her feel better. This booklet has lots of info on the different reasons why babies might be crying and then gives some practical suggestions of things you can do to soothe and settle your baby. 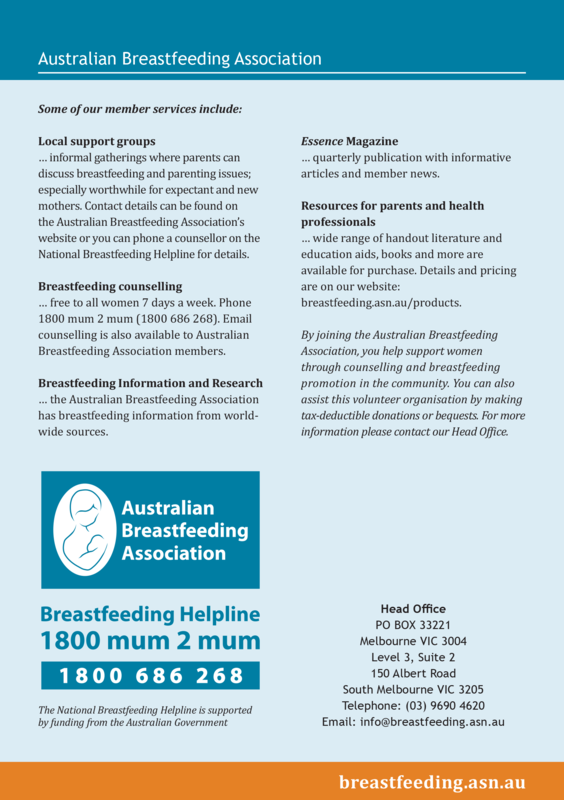 Breastfeeding was really important to me and so I loved that there was lots of information about possible breastfeeding issues that may be related to crying and then how those problems could be overcome. This booklet gave me tools to help my baby though those difficult first few months and also reassured me that my baby was not abnormal and that I was not a failure as a mother. It really empowered me to be a good mother to my unsettled baby and we got though that intense time and have had a lovely breastfeeding relationship since. 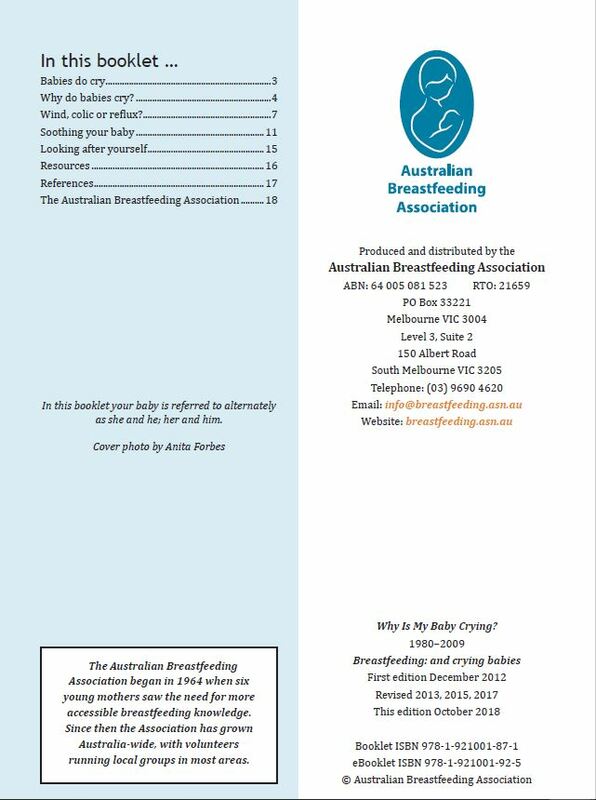 If you just read one thing about breastfeeding, this is the thing to read! I wish I had read this when I was pregnant. A great intro to breastfeeding and life with a new bub, without being too long or overwhelming. Even has info about looking after yourself, crying babies, and a section just for partners. I doubt there is a parent around who has not asked the question “why is my baby crying?”. This helpful booklet goes into a range of areas to explore some possible reasons why a baby might be crying, and offers a range of suggestions that could be helpful to soothe a crying baby or reassure and calm a worried parent.